The U.S. Department of Agriculture (USDA) designated 92 counties across eight states as primary and contiguous disaster areas due to damages and losses caused by the recent drought. â€¢The states are Alabama, Georgia, Iowa, Minnesota, Missouri, North Dakota, South Dakota and Wisconsin. â€¢As of September 19, 2012 a total of 2,348 counties across 43 states have been designated as agricultural disaster areas due to the drought, this year. WINNIPEG, Manitoba, Aug 12 (Reuters) - After spring floods drowned his seeding plans two years straight, Canadian farmer Walter Finlay is harvesting what looks to be an average or slightly better crop of wheat and canola. Average will do just fine this year. The worst drought in a half century in the U.S. Midwest has scorched corn and soybean crops, igniting grain and oilseed prices and leaving farmers in Western Canada poised to profit nicely off the misery of U.S. growers. "You hate to see anybody have a hard time," Finlay said from his farm near Souris, Manitoba. "There maybe is better opportunity just because of what's going on in the States ... the price of corn has obviously drawn the price of feed wheat up." Canada is the world's seventh-largest, wheat-growing country, and the top exporter of spring wheat and durum, used in baking and pasta-making respectively. It's the biggest producer and shipper of canola, used to make oil for salad dressings and margarine. Despite the country experiencing the worst drought in at least a quarter of a century, the U.S. Agriculture Department said this season may have been the most profitable for farmers in 40 years. Net farm income is expected to be $122.2 billion, the highest number since 1973 when adjusted for inflation. Farmers last year profited $117.9 billion, and the average since 2002 is $74 billion. While expenses are forecast to be higher this year at around $329.1 billion compared with $310.6 billion last year and an average of $248.7 billion since 2002, total gross income is expected to grow by 5.1% year-over-year to $451.4 billion. The increases come from a combination of things that have together helped offset what has become an arid U.S. crop belt, stunting the growth of widely-used products like corn and soybeans. Higher crop prices due to a squeezed supply as well as expected payments from the widespread use of government-backed crop insurance are expected to offset the loss experienced by a much lighter yield this season. On Tuesday, disaster modeler AIR Worldwide said insurance losses from the drought that ravaged U.S. crop production could reach as high as $20 billion. Once the USDA declares a disaster in a county, farmers and ranchers can apply for low-interest emergency loans to help offset crop losses and pay operating expenses. New rules announced Thursday streamline the process and provide for automatic disaster designations in areas with severe drought. Under new U.S. Department of Agriculture rules announced Thursday, all but a handful of Georgia counties are considered disaster areas because of ongoing drought. The department is trying to shorten the time between a disaster and making aid available to farmers. Until now, a stateâ€™s governor had to request a disaster designation. But the new rules mean USDA wonâ€™t have to wait for that request. D2 is a severe drought on the National Drought Monitor. More than half of Georgia is that dry right now. For disasters other than drought, like tornadoes or fires, local officials or USDA offices can now make the request. Once the agriculture secretary declares a disaster in a county, farmers and ranchers can apply for low-interest emergency loans to help offset crop losses and pay operating expenses. The new rules also reduce the interest rates on those loans. With the new rules in effect as of Thursday, 142 of Georgiaâ€™s 159 counties are eligible for disaster aid. The drought that has kept much of the nation in its grip this summer brings a host of additional downstream worries for growers already struggling with reduced yields. Cattle are being poisoned by cyanide-laced weeds in Arkansas. Across the Midwest water-soluble fertilizers are concentrating in soils and plants, making them harmful rather than productive. And in Missouri, samples suggest that more than half the corn crop isn't fit for human consumption, thanks to unusually high levels of a carcinogenic toxin. Extended drought can often induce a highly toxic and cancer-causing toxin â€“ aflatoxin, a fungal-byproduct. With the corn harvest underway, aflatoxin worry is pervading the farming community. "We don't know how bad it'll be yet," said Don Parrish, senior director of regulatory relations at the American Farm Bureau Federation. "But the conditions certainly exist." Several fungi, or molds, can grow on drought-stressed grain, and several of these produce byproducts are toxic to animals and humans. The most common of these fungi, Aspergillus flavus, consumes the starch inside corn kernels and produces a byproduct named aflatoxin. This fungus also contaminates peanuts, cottonseed, pecans and grain sorghum. The disease causes olive green, moldy growth. Drought doesn't cause the fungus, but the dryness allows for cracks in the shell protecting the kernels, allowing fungus to get to the grain. The true impact of aflatoxin will be known in a few weeks, Parrish said. So far only 39 percent of the U.S. corn crop has been harvested, according to U.S. Department of Agriculture. CHICAGO (Reuters) - Iowa, the No. 1 corn producer in the United States, on Friday began requiring the state's dairy processors to test all milk received in the state for aflatoxin, the toxic byproduct of a mold that tends to spread in drought-stressed corn. The Iowa Department of Agriculture said the required aflatoxin screening of all milk will continue indefinitely. Human foods must contain less than 20 ppb, while the threshold for milk is even lower, at 0.5 ppb. Aflatoxin can cause liver disease and is considered carcinogenic. Human exposure to high amounts of aflatoxin is rare, but aflatoxin contamination prompted a series of pet food and livestock food recalls last December, including products produced at Cargill's Lecompte, Louisiana, plant and Procter & Gamble Co plant in Henderson, North Carolina. The massive and widespread 2012 drought that has gripped the nation since the spring refuses to die, according to the latest report from the U.S. Drought Monitor â€” and in fact, itâ€™s expanded a little: as of September 18, 64.82 percent of the contiguous U.S. was suffering from at least moderate drought, slightly more than the 64.16 percent reported a week earlier, enough of a gain to set a new record for this drought category. The ongoing drought has destroyed or damaged portions of the major field crops in the Midwest, particularly field corn and soybeans. This has led to increases in the farm prices of corn, soybeans, and other field crops and, in turn, led to price increases for other inputs in the food supply such as animal feed. Most of the impacts on retail food prices are expected to occur in 2013, but meats and animal-based products such as dairy and eggs may be starting to show increases in the final quarter of 2012. About 80 percent of agricultural land is experiencing drought, which makes the 2012 drought more extensive than any drought since the 1950s. 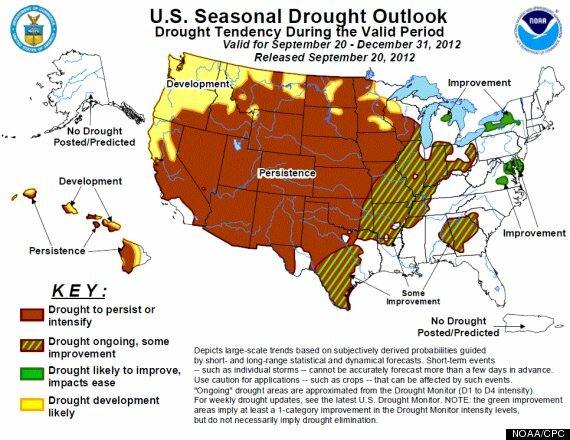 â€¢As of mid-August 2012, 60 percent of farms in the United States were experiencing drought. About 17 percent of farms were in counties where most of the land is under moderate drought; 15 percent of farms were experiencing severe drought; and 28 percent were experiencing extreme or exceptional drought. â€¢A striking aspect of the 2012 drought is how the drought rapidly increased in severity in early July, during a critical time of crop development for corn and other commodities. The table shows the progression from mid-June to mid-August of severe or greater drought within the agricultural sector. While there has been some easing of drought conditions during early September, for most crop production exposure to drought during the June to August period will determine drought impacts. From mid-June to mid-August, the share of farms under severe or greater drought increased from 16 percent of all farms to 43 percent. Total cropland under severe or greater drought increased from 20 percent to 57 percent, while total value of crops exposed increased from 16 to 50 percent. The "herders of humanity" hype this naturally occuring cyclic round every 10 to 12 years and have since the 1930s... It comes around like clockwork, like our yearly 4 seasons. It's period is so accurate you can set your calender by it. It's cause has been known scientifically for at least the last 300 years. Even at that, most people have short memories, or were never taught about it. All to the advantage of those who know and use it to politically manipulate the population in whatever direction they wish, foisting climate catastrophe fears for political gain. Remember the warm weather cycle which began in late 2000 and lasted until the end of 2002? Then there was 1989 thru 1991, '78 to late '80... and back it goes with uncanny 11 year regularity... what causes it..? why, it's the Sun of course... go search it. as well as other departments, are bound by that instrument." The "herders of humanity" hype this naturally occurring cyclic round every 10 to 12 years and have since the 1930s... It comes around like clockwork, like our yearly 4 seasons. It's period is so accurate you can set your calender by it. It's cause has been known scientifically for at least the last 300 years. Even at that, most people have short memories, or were never taught about it. All to the advantage of those who know and use it to politically manipulate the population in whatever direction they wish, foisting climate catastrophe fears for political gain. Yes! Very well put JT. Having been concentrating grey matter elsewhere of late, I have not spent much time the last half year or so regarding climate topics. This thread caught my eye however, so I've spent the last couple of days digging into what the Sun has been doing the last year or so, it being the driver of all weather manifested here on Earth and all. are ignorant of the facts." Wheat futures rose for the second time in three sessions on renewed concern that the worst U.S. drought since the 1930s is eroding prospects for crops in the southern Great Plains. Is the Mississippi Drying Up? Barge traffic was stopped on the Mississippi this summner. Now, months later it's still restricted due to drought. Like Sam Clemens, I grew up along the Mississippi. Every few weeks we drove along windy, blue-brown expanses of river, barges, and rusty bridges to visit my grandma who lived across the river in Illinois. I took days off of high school to help fill sandbags during floods, so I remember how we stood on a hamlet Main St. watching the Illinois River flow at neck level just five feet away across a line of sandbags while a dark green Huey overhead scouted for levee leaks. Old white wooden houses loosened from foundations just 150 feet away, their rooftops visible in the muddy water. One night we worked by the Mississippi, passing sandbags to fill a sinkhole eroding half way up a levee, which, had it failed, would have ruined farms and grain elevators near Hannibal. It was eerie to stand in the dark watching the biggest man at the end of the line hurl sandbags into the hole, just yards away beneath a floodlamp. He had to stand close enough to toss a 60 pound bag into the hole but not so close that heâ€™d be swallowed by quick mud. The Mississippi was our ocean, changing color with passing clouds, churning brown when it rained, brimming wide and moving slowly. Standing on a wooded bluff or far out, barefoot on one of the shifting, sandy islands that formed along big bends, I figured the river was at least half a mile wide. Young Lincoln steered barges heaped with farmersâ€™ goods downstream, where he no doubt witnessed the misery of floodplain slavery. He didnâ€™t have to venture far---just a few hundred yards from the house where I grew up in south St. Louis County stood the ruins of an old farmhouse by a tiny pond and what was said to have been slave quarters. Last July, I sat in a jet flying above the Ozarks to Charlotte. Years earlier, somewhere down below, a friend had died trying to jump from one eighty-foot rock column to another. Two Ozark lakes curved for over a hundred miles. And then I saw the Mississippi. Snaking off to the south, it defined the entire landscape. But as we got closer I couldnâ€™t believe what I was seeing. Large stretches of river water were gone. In their place, roughly two-thirds of the riverbed was dry, empty stretches of pale mud and clay. Surely itâ€™s just one section, I thought. The Mississippi never dwindled. But the spectacle ran for miles in both directions. The mighty Mississippi was drying up, and it may not be a single yearâ€™s drought. Scientists say global warming will reduce the regionâ€™s rains and bring higher temperatures, raising the question of whether millions of acres will continue to be arable. The sight below me was so unexpected that I couldnâ€™t comprehend it. So, on my way to Spain, I just forgot about it â€“ until I read that barge traffic on the lower Mississippi had to be halted for weeks because there wasnâ€™t enough water for barges to pass. On July 3, the river was only 4.86 feet deep in Vicksburg. Meanwhile, Obama insists oil production is up, meaning decades more of internal combustion. Even if we were to stop using cars and coal-powered electricity today, CO2 levels wouldnâ€™t dwindle for another 60 years. So, weâ€™re left to wonder: if a mostly empty Mississippi is what we see now, at the shallow end of a what is almost certain to be years of global temperatures rising, just think what it will be like a few decades from now. Yes, the Mississippi has sharp mood swings. During last yearâ€™s flooding its waters were 52 feet higher in Vicksburg. TOPEKA, Kan. â€”Most emergency preparations this time of the year focus on winter weather. But state and local officials are already discussing ways to protect the state's dwindling water supplies if the drought persists through next year. Kansas Water Office director Tracy Streeter said most public water supply systems in Kansas have conservation and drought emergency plans in place. But he said the state is encouraging water districts to review those plans based on last year's drought and update them if needed. Streeter said the drought is predicted to continue next year. The Topeka Capital-Journal reported that all 105 Kansas counties remain in a state drought emergency. And some communities are continuing to limit certain water uses, such as for outdoor watering. 1. Are they chemtrailing off the pacific coast up northern areas? How do we get them to stop it? He is selling his cattle herd. Losing money big time. He told me that if you like beef, to eat it now when there is a lot of it on the market. He called a feed lot in Dodge City. A guy told him that producers were losing $400 per head of cattle. The reason--the almost nation-wide drought and THE HIGH PRICE OF CORN. The worst U.S. drought in a half century and record feed prices are spurring ranchers to shrink cattle herds to the smallest in two generations, driving beef prices higher. Beef output will slump to a nine-year low in 2013 after drought damaged pastures from Missouri to Montana, the U.S. Department of Agriculture estimates. The domestic herd is the smallest since at least 1973, and retail prices reached a record last month, USDA data show. Retail beef reached an all-time high of $4.72 a pound in July, according to the USDA's composite price, which includes choice beef, other beef and hamburger values. Feedlots are losing $300 a head this month fattening cattle for slaughter, after corn surged 61 percent since June 15, University of Missouri data show. Greeley-based JBS SA, the largest beef producer; fast-food chain Wendy's Co.; and Greenwood Village-based Red Robin Gourmet Burgers Inc. are among those planning price increases. The USDA expects food inflation of 4 percent in 2013, compared with an average of 3 percent since 2004. Next year, domestic beef prices will rise 5 percent, pork 3.5 percent and poultry 4 percent, the USDA estimates. "We've had a huge liquidation off of pastures," said Walt Hackney, 74, who buys and sells 250,000 cattle a year in Omaha and has worked in the livestock business for about a half century. "It's all due to the drought. There's no grass for them to graze on." Well, the eugenicists are completely "enamored" with the idea of famine and all that goes with it. Famine means disease as well as starvation. There is no excuse for famine of anykind in this modern day and age. It sickens me to see our Beautiful Earth being systematically engineered into a desert like Mars. Well, the eugenicists are completely "enamored" with the idea of famine and all that goes with it. Famine means disease as well as starvation. There is no excuse for famine of anykind in this modern day and age. I've been reading about the Bakken Natural gas flaring which is being wasted. It could be used to produce fertilizer. Natural gas production in North Dakota has more than doubled since 2005, largely due to associated natural gas from the growing oil production in the Bakken shale formation. Gas production averaged over 485 million cubic feet per day (MMcfd) in September 2011, compared to the 2005 average of about 160 MMcfd. However, due to insufficient natural gas pipeline capacity and processing facilities in the Bakken shale region, over 35% of North Dakota's natural gas production so far in 2011 has been flared or otherwise not marketed. The Haber process produces ammonia (NH3) from methane (CH4) gas and molecular nitrogen (N2). The ammonia from the Haber process is then converted into nitric acid (HNO3) in the Ostwald process. Last August, Brian and his wife, Amy Cebull, who own Nance Resources in Billings, and two partners from Helena formed a limited liability company called G2G. The name stands for gas to green, as in environmentally green. The company installs what is basically a mini-natural gas plant in a trailer that can be hauled out to an oil well to capture, liquefy and store gas emissions. North Dakota has 4,377 wells connected to a pipeline, leaving another 1,094 wells waiting to be hooked up, said Justin Kringstad, director of the North Dakota Pipeline Authority based in Bismarck. Last fall, the New York Times reported that North Dakota was flaring 100 million cubic feet of natural gas each day, enough to heat half a million homes for a day. The flaring releases at least 2 million tons of carbon dioxide each year, an amount equivalent to a medium-sized coal-fired power plant, the Times reported. In Montana, oil companies can flare for 60 days. Then members of the Montana Board of Oil and Gas Conservation must vote to extend or curtail the flaring permit, usually a month-by-month decision. â€œFlaring isnâ€™t a problem right now in Montana because all our new wells are connected to a pipeline,â€� said Tom Richmond, the administrator of the Montana Board of Oil and Gas. World Bank statistics said worldwide gas flaring is adding some 360 million tons of carbon dioxide to the atmosphere each year, according to a May 2 Reuters article. That is equivalent to the emissions from about 70 million cars. After nearly six years of decline, global flaring increased last year mostly because of flaring in North Dakota, according to Reuters. That increase pushed the U.S. into the top 10 gas-flaring countries, along with Russia and Nigeria. The Bakken natural gas is unique because a larger percentage can be liquefied. The Bakken oil shale drilling provides both immense opportunities and challenges for North Dakota. Itâ€™s a huge domestic energy supply resource and creates new jobs, wealth, tax revenues and economic growth. At the same time, there are enormous community costs and social disruptions, and water contamination and air pollution potentially harming human health, ecological safety and farming and tourism economies. There is no â€œmagic bulletâ€� one-shot solution for all problems. There are strategic focused actions, however, that can serve North Dakota and our nation well. Too many Bakken oil drilling companies are still flaring off natural gas while they extract oil. That lights up the western North Dakota sky and produces among the nationâ€™s largest cumulative sources of carbon pollution and other harmful air contaminants emitted into the atmosphere. Flaring natural gas is wasteful and can be avoided. That gas has economic value in the energy markets, and there are existing technologies and equipment to capture natural gas and dispatch it through pipelines to power fertilizer factories and heat homes and businesses, or use it in power plants to generate electricity. Statoil is also starting to use captured natural gas from flares to help power local drilling rigs and generators, and thus reduce its diesel fuel costs. Why waste this very valuable energy resource? Why not both avoid pollution and create economic value, jobs and business growth for North Dakotans? Why should landowners miss out on royalty payments and North Dakota lose gross production tax revenues? 1. Letâ€™s stop wasting natural gas resources. Letâ€™s require all Bakken oil drilling companies to follow North Dakota law by applying modern technologies to capture the flare gases, avoid pollution, and deliver the gas into pipelines or use it for electricity generation and other purposes. If thereâ€™s a strong showing that this isnâ€™t economically feasible, so be it. However, no more blanket waivers. 2. Letâ€™s ask the University of North Dakota, North Dakota State University or a consulting firm to quantify the job creation and business growth benefits, pollution cost avoidance, and additional royalty payments and tax revenues to be gained by capturing natural gas. These economic values are real, not theoretical. The stateâ€™s entreprenuerial centers should focus on the new business opportunities to use this natural gas and related by-products. 3. Letâ€™s convene the oil drilling, flare gas capture and pipeline companies, electricity coops and power plant businesses, fertilizer factory owners and farm groups, state and local officials, environmental and conservation organizations, and economic development agencies. Bring the key parties together to develop shared solutions and implement them quickly. This idea of everything being "new" doesn't make sense to me. So much of the "new" means it doesn't work and doesn't last. We have seen this disposable-products-culture for a long time now. I remember the idea came up to have disposable paper clothing. We're not far from it with the plastic clothes. Batteries don't last, items self-destruct in no time. Infrastructure of dams and water plants, for instance were built in the 50's, and there's a huge push to "update" and re-build them. What for? To replace metal and concrete with plastic and computer chips? I see that they like to make-believe it is all for the good and safety of us; when in fact, it is a direct attack. So, I'm very suspicious about "new" infrastructure. Nevermind the cost! But wow, the funds are sure available via Agenda 21. WASHINGTON, Jan. 9, 2013â€”Agriculture Secretary Tom Vilsack today designated 597 counties in 14 states as primary natural disaster areas due to drought and heat, making all qualified farm operators in the areas eligible for low-interest emergency loans. These are the first disaster designations made by the U.S. Department of Agriculture in 2013. "As drought persists, USDA will continue to partner with producers to see them through longer-term recovery, while taking the swift actions needed to help farmers and ranchers prepare their land and operations for the upcoming planting season," said Vilsack. "I will also continue to work with Congress to encourage passage of a Food, Farm and Jobs bill that gives rural America the long-term certainty they need, including a strong and defensible safety net." Transferred $14 million in unobligated program funds into the Emergency Conservation Program (ECP) to help farmers and ranchers rehabilitate farmland damaged by natural disasters and for carrying out emergency water conservation measures. Updated the emergency loans application process to allow these loans to be made earlier in the season. Filed special provisions with the federal crop insurance program to allow haying or grazing of cover crops without impacting the insurability of planted 2013 spring crops. Authorized up to $5 million in grants to evaluate and demonstrate agricultural practices that help farmers and ranchers adapt to drought. Installed conservation systems that impacted more than 1 million producers, and reduced water withdrawn from the Ogallala Aquifer by at least 860,000 acre feet, equivalent to the domestic water use of approximately 9.6 million individuals for a year. Worked with crop insurance companies to provide flexibility on premium payments to farmers, and one-third of all policyholders took advantage of the payment period. Partnered with local governments, colleges, state and federal partners to conduct a series of regional drought workshops with hundreds of producers in Nebraska, Colorado, Arkansas, and Ohio. A natural disaster designation makes all qualified farm operators in the designated areas eligible for low interest emergency loans. During times of need, USDA has historically responded to disasters across the country by providing direct support, disaster assistance, technical assistance, and access to credit. USDA's low-interest emergency loans have helped producers recover from losses due to drought, flooding and other natural disasters for decades. The interest rate on emergency loans currently stands at 2.25 percent, providing a competitive, much-needed resource for producers hoping to recover from production and physical losses associated with natural disasters. The Obama Administration, with Agriculture Secretary Vilsack's leadership, has worked tirelessly to strengthen rural America, maintain a strong farm safety net, and create opportunities for America's farmers and ranchers. U.S. agriculture is currently experiencing one of its most productive periods in American history thanks to the productivity, resiliency, and resourcefulness of our producers. A strong farm safety net is important to sustain the success of American agriculture. USDA's crop insurance program currently insures 264 million acres, 1.14 million policies, and $110 billion worth of liability on about 500,000 farms. In response to tighter financial markets, USDA has expanded the availability of farm credit, helping struggling farmers refinance loans. Since 2009, USDA has provided more than 128,000 loans to family farmers totaling more than $18 billion. Over 50 percent of the loans went to beginning and socially disadvantaged farmers and ranchers. The 597 primary counties designated as disaster areas today correspond to the following states: Alabama, 14; Arkansas, 47; Arizona, 4; Colorado, 30; Georgia, 92; Hawaii, 2; Kansas, 88; Oklahoma, 76; Missouri, 31; New Mexico, 19; Nevada, 9; South Carolina, 11; Texas, 157; and Utah, 17. For more information about the specific state designations, visit the Farm Service Agency's disaster designations page. State climatologists predict the current drought could continue through the rest of the year in Iowa. Mahaska County is 8 to 12 inches under the amount of moisture needed for this time of year. As CRIâ€™s Jason Madison reports, in case the rain doesnâ€™t add up in the next months, officials say some residents should consider cutting back on the amount of water used NOW instead of later. â€œIf we can compare the starting of last year to the starting of this year, weâ€™re much worse off now than we were then.â€�, says Bob Wells. Iowa State University Extension Field Specialist Bob Wells has lived and worked in Oskaloosa for 11 years and sayâ€™s the county has seen better days. 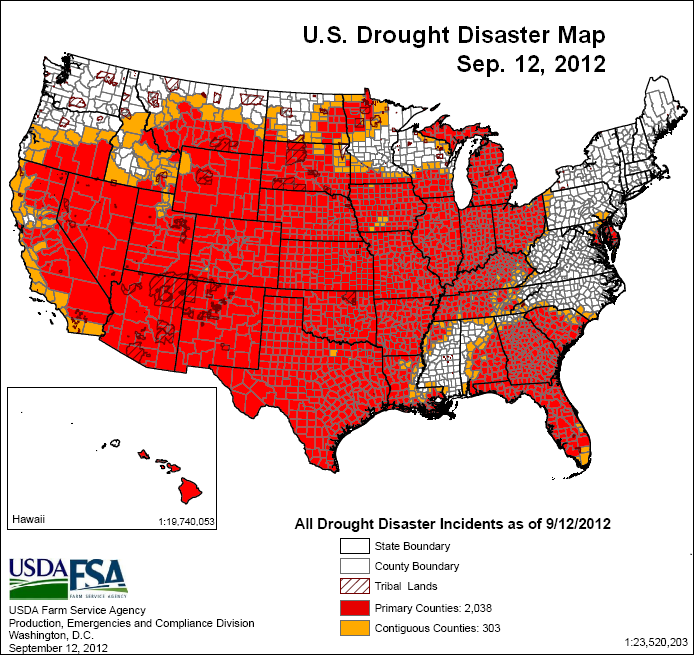 Map shows designations due to drought across the country under USDA's amended rule. Any county declared a primary (red) or contiguous (orange) disaster county makes producers in that county eligible for certain emergency aid. Thousands of trees died in the historic drought of 2012, and many more will succumb in the next few years. Communities that have lost trees are hesitant to replant now. Hundreds of thousands of trees died in the historic drought of 2012, and many more will succumb in the next few years, scientists say. "This is just beginning," says Janna Beckerman, a plant pathologist at Indiana's Purdue University. "I suspect we'll see trees still dying for the next two or three years." Indiana's white cedar and Florida cypress trees began dying in late summer, she says, and Alberta and Colorado blue spruce are succumbing now. Trees affected by a 2010-11 drought still are dying across Louisiana, says Keith Hawkins, a Louisiana State University AgCenter forester. Some trees "reached a threshold from which they can't recover â€” especially older, larger trees," he says. About 301 million trees died in rural Texas because of that drought, the Texas A&M Forest Service says. General Discussion for the Prison Planet Educational Forum and Library > EARTHQUAKE! ... NLE11 HAARP/STUXNET Earthquake/Nuke Attacks during NLE11 being used to create a 'Green Nazi' Patriot Act > *CLIMATEGATE: Whistleblower exposes global warming is a HOAX! The historic drought that blazed across America's corn belt last year was not caused by climate change, a federal government study found. The summer of 2012 was the driest since record-keeping began more than a century ago, as well as one of the hottest, producing drought conditions across two-thirds of the continental United States. Barack Obama and other prominent figures have repeatedly cited the drought as evidence of climate change. But the report released on Thursday by scientists at five different government agencies said that was not the case. The drought was "a sequence of unfortunate events" that occurred suddenly, the report said. The circumstances were so unusual the drought could never have been predicted. "The Central Great Plains drought during May-August of 2012 resulted mostly from natural variations in weather," the report said. The scientists found moist air from the Gulf of Mexico did not stream northward as it does most years, bringing spring rain. The jet stream that ordinarily pushes up the moisture from the Gulf was stuck far to the north in Canada. July and August failed to produce their usual thunderstorms and those that did occur brought little rainfall. The deficits were extreme. Last year was the driest year since record-keeping began in 1895, the report said. Conditions were even hotter and drier than the "dust bowl" years of 1934 and 1935. "Neither ocean states nor human-induced climate change, factors that can provide long-lead predictability, appeared to play significant roles in causing severe rainfall deficits over the major corn producing regions of central Great Plains." The finding was immediately challenged by other scientists. The report looked at six states â€“ Wyoming, Kansas, Nebraska, Colorado, Missouri and Iowa â€“ but by last September the drought had spread across two-thirds of the continental United States, devastating crops from Texas to Georgia. Some experts predicted the economic losses would exceed those from hurricane Sandy. Obama cited the drought, along with last year's wildfires, record-breaking temperatures, and Sandy, as evidence of climate change. Campaign groups have also cited the drought to make the case for climate action. The lead author of the report, Martin Hoerling, a research meteorologist at the National Oceanic and Atmospheric Administration, told the Associated Press he had tried to create computer simulations of the the drought, factoring in climate change conditions. Hoerling undertook a similar exercise with the 2011 drought in Texas, finding that climate change had indeed been a factor. He was unable to do so in this case, Hoerling said, arguing that it demonstrated the drought had been a one-off event. "This is one of those events that comes along once every couple hundreds of years," Hoerling told the AP. "Climate change was not a significant part, if any, of the event." However, Kevin Trenberth, a climate scientist at the National Centre for Atmospheric Research, who was also contacted by the Associated Press, said the study failed to take into account the lack of snowpack in the Rockies or how climate change may have played a role in keeping the jet stream away. Millions of people could become destitute in Africa and Asia as staple foods more than double in price by 2050 as a result of extreme temperatures, floods and droughts that will transform the way the world farms. As food experts gather at two major conferences to discuss how to feed the nine billion people expected to be alive in 2050, leading scientists have told the Observer that food insecurity risks turning parts of Africa into permanent disaster areas. Rising temperatures will also have a drastic effect on access to basic foodstuffs, with potentially dire consequences for the poor. America's agricultural economy is set to undergo dramatic changes over the next three decades, as warmer temperatures devastate crops, according to a US government report. The draft US National Climate Assessment report predicts that a gradually warming climate and unpredictable severe weather, such as the drought that last year spread across two-thirds of the continental United States, will have serious consequences for farmers. The research by 60 scientists predicts that all crops will be affected by the temperature shift as well as livestock and fruit harvests. The changing climate, it says, is likely to lead to more pests and less effective herbicides. The $50bn Californian wine industry could shrink as much as 70% by 2050. The report lays bare the stark consequences for the $300bn US farm industry, stating: "Many agricultural regions will experience declines in crop and livestock production. The rising incidence of weather extremes will have increasingly negative impacts on crop and livestock production. Climate disruptions have increased in the recent past and are projected to increase further over the next 25 years. "Critical thresholds are already being exceeded. Many regions will experience declines in crop and livestock production from increased stress due to weeds, diseases, insect pests and other climate change-induced stresses. Climate disruptions to agricultural production have increased in the recent past and are projected to increase further". A short film on turning around worst case scenarios of soil in the world, turning them into a (mycelium-rich) garden. The heavily salty desert around the even more heavily salty Dead Sea in Jordan becomes a garden--without pumping in extra water or artificial fertilizer/herbicides. "We could green the entire Middle East in this way," Geoff Lawton says in the film. Latest Seasonal Assessment - The Drought Outlook for May 2 - July 31, 2013 is based primarily on short-, medium-, and long-range forecasts, initial conditions, and climatology. Several inches of rain fell in the past two weeks across portions of the Carolinas, Georgia, and parts of Florida eliminating some of the remaining areas of drought. Improvement is indicated for the continuing drought area in north-central Florida due to short-term rainfall and the approaching onset of the rainy season. Improvement is forecast across the upper Mississippi Valley and the lower Plains, due to frontal activity and/or the seasonal upswing in nocturnal thunderstorm activity. Limited drought improvement is anticipated over much of the High Plains. Drought is forecast to either develop or persist across the western contiguous U.S. as this region enters its dry season. Some improvement is expected for the drought area across northern Alaska, while areas of persistence and development of drought are anticipated for the Hawaiian Islands. FREDERICK, Okla. â€” When Kent Walker walked through his dusty fields one morning this spring, the ominous signs were right there at his feet. His wheat crop that should have been thick, dark green and thigh-high was thin, brown and barely covered the top of his shoes. It looked like the start of an ugly rerun. Last year, most of his cotton crop was destroyed by drought. In 2011, almost all his cotton and wheat were stunted or shriveled. Walker sold about a third of his cattle then because he didn't have water and feed. Now, more dry months - compounded by four deadly freezes this spring - threaten once again. And after surveying his fields, white cowboy hat shading his eyes, he sums up his frustration. "Dadgummit," he says. "... It's very trying. It tries your patience. It tries your faith. Bottom line: Every day you just have to go out and trust in God that all will be fine ... and roll on to the next day." Walker's resilience echoes across the southwest corner of Oklahoma as fears of a third straight year of drought ripple through this vast prairie where the dry spell has left visible scars: Ponds that are nearly or totally empty. Dead cedar trees. Sprouting weeds, fewer cows, bald pastures that resemble dirt roads instead of lush, green fields. "You always know that there's going to be a year when you have a failed crop or some sort of disaster," Walker says. "Normally you can manage one year, but when you go to two or three years, you're left questioning your choice of occupation. It can set you back on your heels." Still, he remains an optimist. Though as much as 80 percent of his wheat may be damaged from the drought and freeze, he sees any losses as a temporary setback. "We won't shut down," says Walker, who farms with his father. "We will get through this one way or another." 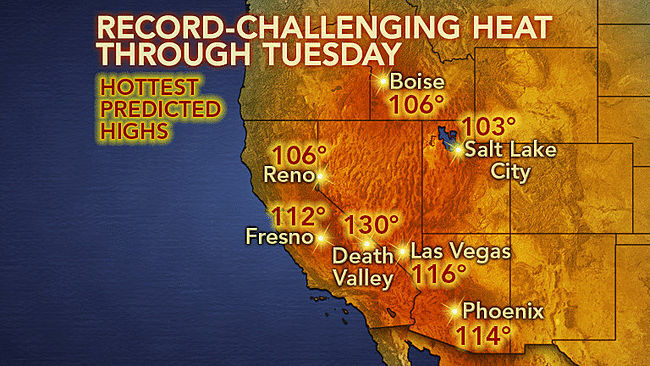 Temperatures in Las Vegas shot up to 115 degrees on Saturday afternoon, just two degrees shy of an all-time record, as the Desert Southwest continued to stagger under a relentless heat wave. Las Vegas fire and rescue spokesman Tim Szymanski told the Associated Press that a man died and another was hospitalized in serious condition Saturday afternoon in heat-aggravated incidents as a heat wave blistered this sunbaked city. The heat wave has sent more than 40 other people to hospitals in Las Vegas since it arrived Friday. On Friday, 115-degree heat in the city tied a 19-year record. Large swaths of California sweltered under extreme heat warnings, which are expected to last into Tuesday night â€” and maybe even longer. In Southern California, Palm Springs peaked at 122 while the mercury in Lancaster set a record at 111, according to the L.A. Times. Flagstaff could tie longstanding records for heat this Saturday, when temperatures could reach 97 degrees -- the city's all-time high set in 1973. If the city hits that mark, it would also break the record for the hottest temperature ever in June -- now at 96 degrees set in 1970. Other locations in northern Arizona could meet or beat records for heat this Friday through Sunday, with temperatures peaking Sunday, said Dave Vonderheide, a meteorologist at the National Weather Service in Bellemont. "This is definitely unusually hot," he said. The heat is tied to an abnormally dry spring, Vonderheide said, but also now to the beginning of summer rain. "This is the heat wave that's very typical just before the monsoon rains begin," he said. He's tracking moisture in northwestern Mexico, waiting for it to head north. "We're waiting for the winds to change to start bringing that up," Vonderheide said. Nineteen members of the Granite Mountain Hotshots, part of the Prescott Fire Department, lost their lives Sunday while battling the 2,000-acre Yarnell Hill fire that ignited Friday south of Prescott. The elite 20-man hotshot team is the only one in the country that is organized through a city fire department. It earned its national interagency hotshot designation in 2008. Prescott Fire Department Fire Chief Dan Fraijo said the 20th crewmember was working in a different location on the fire and was not injured. "We're devastated. We just lost 19 of the finest people you'll ever meet ...Truly we're going through a terrible crisis right now," Fraijo said. Sunday's fatalities amounted to the highest firefighter death toll on a single U.S. wildfire since 1933, when 25 firefighters were killed on the Griffith Park fire in Los Angeles. Latest Seasonal Assessment - Since the summer drought of 2012 that affected much of the Great Plains, Mississippi Valley, and Corn Belt, the focus for drought generally shifted west during the past six months. Drought recently reestablished itself across Iowa, northern Missouri, and the lower Mississippi Valley. According to the U.S. Drought Monitor, little to no drought covers the continental U.S. east of the Mississippi River. Georgia and South Carolina were the wettest on record from February through July. 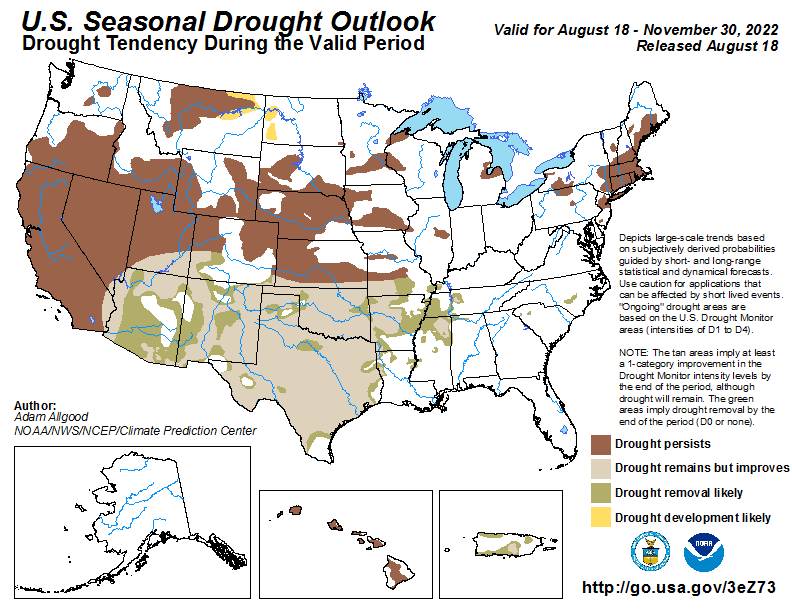 The drought outlook for August 15 - November 30, 2013 is based primarily on short-, medium-, and long-range forecasts, initial conditions, and climatology. Although rainfall associated with the monsoon diminishes during September, improvement is forecast for parts of Arizona, Colorado, and New Mexico since the CPC September outlook favors above median precipitation. Persistence is forecast across the extreme to exceptional drought areas from the Oklahoma Panhandle north to western Nebraska, while prospects for improvement increase to the east across central Kansas, western Oklahoma, and northern Texas. Improvement is also expected for the short-term drought areas of the lower Mississippi Valley, Missouri, and Iowa. In contrast, persistence is forecast for the intermountain West, Great Basin, and for ongoing drought areas along the West Coast where the wet season arrives late in this outlook period. Drought is expected to gradually ease during the fall across Alaska, while drought persists or expands across the Hawaiian Islands. The West: Now in its second year of below normal rainfall, and on the heels of experiencing its driest January to July on record, Extreme Drought (D3) conditions were introduced into southern California. Impacts are beginning to be felt in this, and surrounding areas, including dried up rivers, stressed vegetation, and possible water restrictions. Likewise, Extreme Drought (D3) expanded in southwest Idaho as the lack of precipitation mounts. Conversely, conditions improved slightly in eastern New Mexico and eastern Colorado this week. Areas of Exceptional Drought (D4) were eased in both states. MARSEILLE, FRANCEâ€”Around 1300 B.C. the Late Bronze Age civilizations of the eastern Mediterranean began to collapse, and the Hittite, Mycenaean, and Syro-Palestian cultures, among others, eventually vanished. Wars, crop failures, and famines have all been suggested as triggers for this spectacular collapse, but now climatologists led by Joel Guiot of Aix-Marseille University say that climate change was likely responsible. The team analyzed pollen samples from a deep core taken at a lake on Cyprus and found that about 3,200 years ago the island's lush landscape transformed into an arid one during what was the driest period in the region for the last 5,000 years. They also found less charcoal in later sediments, suggesting the population declined in the wake of the drought. For much of the past six years, the global grain markets have lurched from one crop crisis to the next, keeping inventories low and food prices high. Now, as harvest machines across the U.S. Midwest prepare to reap the nation's biggest corn crop in history, a sea change seems imminent, one that could transform the market. No longer will a constant a fear of scarcity drive prices. Instead, traders will be battling for market share instead of scrambling for supplies. But, experts warn, we are not there yet. At least one more trouble-free global growing cycle is necessary to safely put the past few years of uncomfortably high food prices behind us. Global stockpiles, while recovering, are still far from the 80-or-so days' worth of demand that will keep panic at bay. Chief among their concerns is that demand for cash crops could accelerate now that prices for things like corn and wheat have fallen by as much as half. Meanwhile, still-elevated costs for inputs like fertilizer, seeds and fuel may dampen some farmers' enthusiasm to keep the production throttle at maximum. "We're not out of the woods at all," said John Baize, president of John C. Baize and Associates, an international agricultural trade and policy consultant. Only when inventories reach the equivalent of 20 percent to 25 percent of annual global demand - at least an 80-day reserve - will consumers be able to rest easier. Canada's wheat production has risen 22 per cent from 2012 to a record 33 million tonnes after an unusually good growing season. Statistics Canada released figures Friday showing strong crop yields in wheat, barley, oats and canola. Only soybean and corn production are down. The Canadian Wheat Board predicted the bumper crop two weeks ago, saying rain and heat came at the right time for most producers. The problem is that most of the world experienced the same ideal conditions, meaning world grain prices are falling. Good news for the consumer. Bad news for the farmer. California drought: What's causing it? As California struggles through a run of historically dry weather, most residents are looking at falling reservoir levels, dusty air and thirsty lawns. But meteorologists have fixed their attention on the scientific phenomenon they say is to blame for the emerging drought: a vast zone of high pressure in the atmosphere off the West Coast, nearly four miles high and 2,000 miles long, so stubborn that one researcher has dubbed it the "Ridiculously Resilient Ridge." 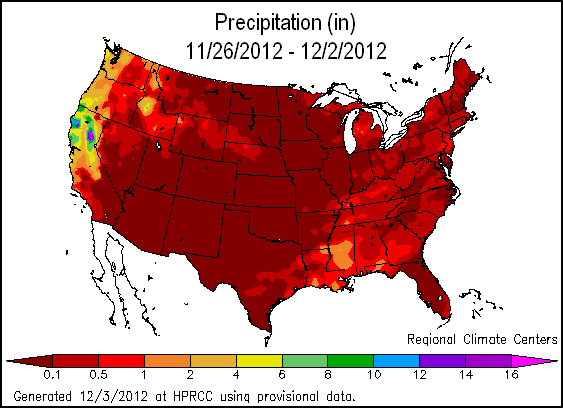 With each passing week, California's lack of rainfall becomes more serious. Last year was the driest calendar year in recorded history in California in most cities, with records going back 160 years. The first snowpack reading in the Sierra Nevada earlier this month found a snowpack of just 20 percent of normal. Meanwhile, major reservoirs in Shasta and Oroville are each 36 percent full, about half of normal for this time of year. San Luis Reservoir near Los Banos is 30 percent full, 42 percent of normal. Major Bay Area water agencies haven't yet called for mandatory summer water restrictions but are expected to make the decision in the next month or two, depending largely on whether the high-pressure ridge breaks down and rain falls. State Department of Water Resources Director Mark Cowin told members of the California State Board of Food and Agriculture in Sacramento a week ago that his agency is likely to recommend that Gov. Jerry Brown declare a drought by Feb. 1, which would make it easier for water transfers between agencies and for emergency loans and other assistance. 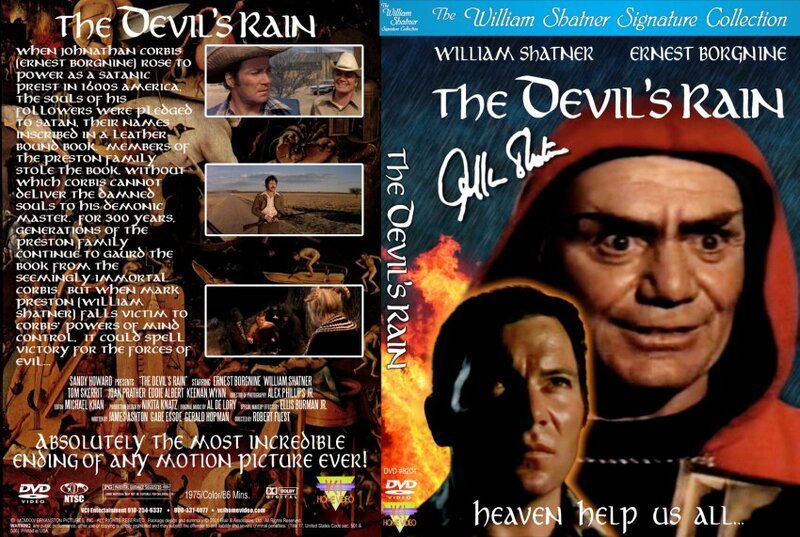 Still, he said last week: "Governors can't make it rain." (TheWeatherSpace.com) â€“ A record number of Santa Ana Wind Products this season has prompted for the 2013 drought to continue even now, with no rain in sight. The mechanism behind it has been modeled and the discovery of two sections of the atmosphere to blame has come out. Step 1: The Big â€œHâ€� in the Pacific is the Northeastern Pacific Ridge. This has been responsible for carving an Eastern Canada Low and deep trough for arctic air shows east of the Rocky Mountains. This has been the normal this entire season. These are up around 18,000 feet, so considered the mid to upper levels of the atmosphere. Step 2: The pinkish shade is the upper jet stream pattern as a result of Step 1. What happens is storms come up and around, into the Pacific Northwest, finally diving into Utah and exiting through Texas off to the Eastern United States. This pattern is the inside slider storm pattern. What happens is the cold front moves southeast through Idaho and Northern Nevada. This front â€˜pushesâ€™ air southward through Nevada. The rotation of the planet makes the winds turn westward and jet through the passes and canyons of California, which is known as the Offshore Flow and many other wind names like Santa Ana Winds. These are low level winds, below 1,000 feet. Step 3: Because these are low level winds, the low level moisture content gets shoved westward, hundreds of miles from California. This creates a mine-field of dry air west of California. Again, because of the rotation of the Earth, the wind curls northward in the low levels, creating two separate surface level high pressure zones â€¦ as noted by the two blue Hâ€™s. High pressure sinks, so anything in that area is sinking, not rising .. .thus drying the area out further. Step 4: The little red L is where moisture near Hawaii creates some storm activity. Storm fronts pick of moisture as the storm develops under the ridge, which is very common for the to do so. This front of moisture moves eastward, giving California a hope for rainfall. But remember Step 3? The mine-field for moisture is dry-air. Just as Hurricane Season this year was weaker because of the dry Saharan Desert air from Africa â€¦ this is similar to our season in California. The moisture streaming into the dry air gets taken over, sinks, and converted into dry air, therefore the clash of the two air-masses prevents any advancing moisture from the west to make it to California. Washington, DC- In light of Californiaâ€™s extreme dry conditions, Senator Dianne Feinstein, Senator Barbara Boxer, and Congressman Jim Costa called on President Obama to form a federal drought task force capable of coordinating a swift, decisive cross-agency response to the stateâ€™s looming water crisis. In a letter, the lawmakers also asked that the President move quickly to authorize a disaster declaration should California request a federal declaration. Last month, Costa and Feinstein urged California Governor Jerry Brown to declare a statewide drought emergency that would mobilize additional resources necessary to address the stateâ€™s current water challenges. If California requests a broad federal disaster declaration, we urge you to issue this declaration as quickly as possible. We also urge that you direct the federal agencies to maximize opportunities for expedited water transfers, assist with infrastructure improvements, and exercise their discretion in regulatory decision-making within the confines of the law to deliver more water to those whose health and livelihoods depend on it. 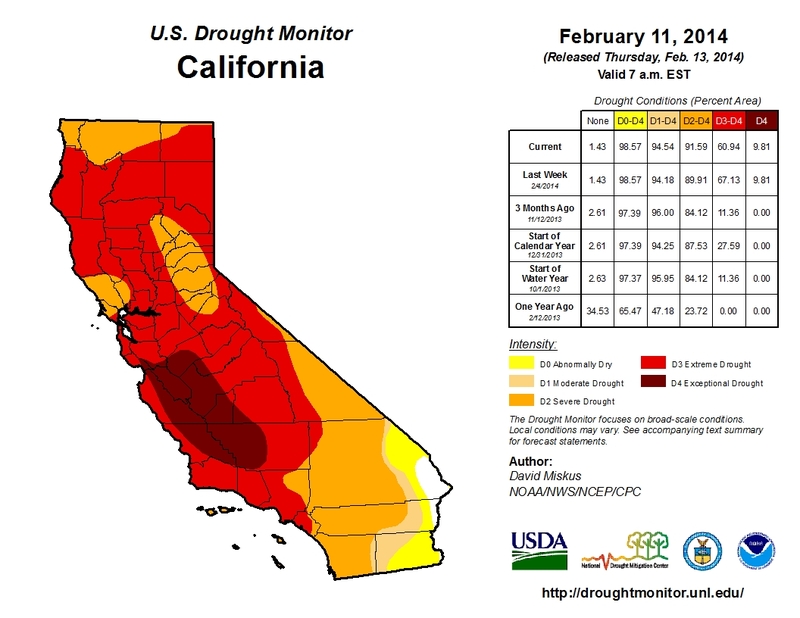 Brown declared that California is officially in a statewide drought emergency. His pronouncement comes during one of Californiaâ€™s driest winters on record. As a result of this and after two previous years of diminished rainfall, reservoirs have reached undesirable levels. Therefore, Brown is advocating that all residents reduce water usage by 20%. "We ought to be ready for a long, continued, persistent effort to restrain our water use," the Governor stated. BERKELEY (KPIX 5) â€“ In California, 2013 was a record-setting year because of the lack of rainfall. A professor at UC Berkeley warns this time could go into the record books as the driest in centuries. â€œSome people have said that this could be the start of a several decade-long dry spell,â€� Lynn Ingram, professor of paleoclimatology told KPIX 5. Ingram examines history to help forecast the future. A study about tree rings led her to predict that we could be in for the driest winter in 500 years. Narrow tree rings indicate little or no water for growth, just like people saw in the 1500s. â€œThey put on rings every single year. So you can actually be able to detect one year of drought,â€� Ingram said. Another indication, but not as precise, are sediment cores that can span a few thousand years and point to the saltiness of San Francisco Bay. More fresh water, and the salinity drops. What they are seeing is at least something on par with what happened here in the dry years of 1976 and 1977, and this could be the norm for quite some time. The Bay Area was built up during the 20th century, we may be forced to adapt to a drier 21st century. Some droughts, like one in the Middle Ages, lasted more than a century. Ingram is not predicting that, she said thatâ€™s like predicting earthquakes. Still, Ingram called this time of dry conditions anxiety provoking. With June in the books, NCDC rankings for California for the July 2013-June 2014 period were the warmest and 3rd driest since 1895. The only drier July-June periods were in 1923-24 and 1976-77. This is the first time California experienced 3 consecutive years in the top 20 for dryness: 2011-12 ranked 20th, 2012-13 ranked 18th, and statewide precipitation has averaged 67% of normal during this 3-year period, and was just 56% of normal in 2013-14. Fortunately Californiaâ€™s reservoirs hold more water than they did in 1977 when the state experienced its 4th and 2nd driest years on record from July 1975-June 1977. However, a recent study estimated that this drought will cost California $2.2 billion in 2014, with a loss of over 17,000 agricultural jobs. A huge volume of fresh water has disappeared from the drought-struck south west of the US in the past decade in what researchers say is a startling sign of the fragility of one of the countryâ€™s most important water supplies. Almost 65 cubic kilometres of water has been lost since late 2004 from the Colorado River Basin, an area roughly the size of France that is a vital but heavily used source of water for more than 30m people and 4m acres of farmland. The amount lost was nearly double the volume of the Colorado Riverâ€™s Lake Mead, the largest man-made reservoir in the US, according to a study by scientists using data from Nasa satellites that can measure changes in water levels. â€œThis is a lot of water to lose. We thought that the picture could be pretty bad, but this was shocking,â€� said the studyâ€™s lead author, Stephanie Castle, a water resources specialist at the University of California, Irvine. More than 75 per cent of the loss was due to the rapid depletion of groundwater from underground aquifers that many farmers depend on for irrigation, especially during droughts like the one that has afflicted parts of the south west for the last 14 years. The researchers found the rate of decline of groundwater, much of which is non-renewable and poorly managed, was roughly six times greater than the losses in Lake Mead and Lake Powell, another large reservoir further upstream on the Colorado River. â€œGroundwater is already being used to supplement the gap between surface water supply and basin water demands,â€� said study co-author, Jay Famiglietti, adding the study revealed a surprisingly high and prolonged reliance on groundwater to bridge the gap between demand and supply. Authorities are spending more than $800m to tunnel under Lake Mead to maintain access to water because the stunted flow of the Colorado River means the lake has shrunk so much that two higher tunnels may no longer be able to channel water to Las Vegas and other cities. The rapid rates of groundwater depletion are likely to lead to further falls in Colorado River stream flows. The studyâ€™s authors say declines in the snowpack that feeds the river, and population growth, could threaten the long-term ability of the Colorado River Basin to meet water allocation commitments to the seven basin states, which includes California, and to Mexico. OCEANSIDE â€” The scent of burning sage wafted toward the inflatable bounce house. The beat of drums and the distinctive cries of Apache song caught the attention of boys playing soccer. Smack in the middle of Mance Buchanan Park in suburban Oceanside on Saturday, dozens of Native Americans gathered in a circle on the brown grass to do what their ancestors had done generations before them: pray, sing and dance for rain. As California enters its third straight year of dangerously dry conditions amid what Gov. Jerry Brown has proclaimed a drought emergency, Gil â€œFeatherâ€� Fernandez led a traditional rain dance on yet another hot and sunny winter day. 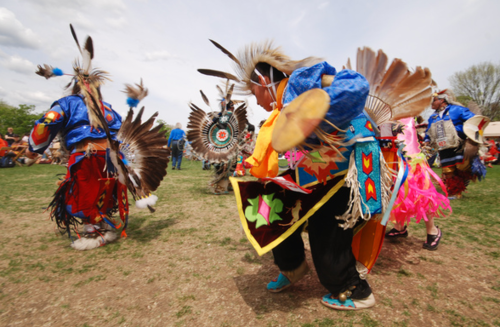 He was joined by Sam Bearpaw, Windwalker and dozens of other Native Americans from multiple tribes who work to keep the traditions and rituals of their culture alive in a modern world. It was seasonably dry along the West Coast, with measurable precipitation limited to parts of the Sierra Nevada and northeastern California. To wit, areas of dryness and drought remained unchanged. The major reservoirs in California are in aggregate at 59% of the historical average, still above the 41% of average recorded during the 1976-77 drought. But some reservoirs are below 1977 levels, especially in west-central parts of the state, and water restrictions have been imposed statewide. A process plant is used in Dubai, interesting? I worked on a ship that used desalination, very pure.. It annoys me our ole Gov can get us in debt for 18 trillion and knowing 10% of this debt could construct facility's to provide pure, clean water if or needed areas.. Sound off the wall, well guys it isn't. We all know the oceans are a source of water, evaporation- cloud formations, rain etc..
Desalination/distillation is one of mankind's earliest forms of water treatment, and it is still a popular treatment solution throughout the world today. In ancient times, many civilizations used this process on their ships to convert sea water into drinking water. Today, desalination plants are used to convert sea water to drinking water on ships and in many arid regions of the world, and to treat water in other areas that is fouled by natural and unnatural contaminants. Distillation is perhaps the one water treatment technology that most completely reduces the widest range of drinking water contaminants. In nature, this basic process is responsible for the water (hydrologic) cycle. The sun supplies energy that causes water to evaporate from surface sources such as lakes, oceans, and streams. The water vapor eventually comes in contact with cooler air, where it re-condenses to form dew or rain. This process can be imitated artificially and more rapidly than in nature, using alternative sources of heating and cooling. Pizzes me of actually, our ole gov can spend trillions on MIC baby's but zip on a solution to droughts and ensuing food supplies. Or is it they have been advised not to. What is it about Dubai, I seem to recall fat cats investing or am I having a memory lapse. Instead of this project we did vietnam. This map of the 1960s "North American Water and Power Alliance" (NAWAPA) shows the continental scale of the needed water supply improvements in North America, and also makes the point on how behind and backward the economies of the United States, Canada, and Mexico have needlessly become under 30 years of anti-development "free market" policies. For three decades, while the amount of money poured into mergers, speculation, and the "markets" rose, investment in infrastructure, industry, and agriculture slowed down to nothing. "Soft infrastructure" has likewise been shorted, and ratios are dropping of per-household numbers of hospital beds, diagnostic equipment, etc. The NAWAPA Project shown here, was drawn up by the Pasadena, Calif.-based firm of Ralph M. Parsons Co., and favorably reviewed by Congress in the 1960s for completion by the 1990s, but it was never begun. The idea is to divert southward some 15% of the MacKenzie River (northern Canada) runoff now going towards the Arctic, channelling it through the 500-mile Rocky Mountain trench, then along various routes, eventually reaching even Mexico. The broken lines show new, navigable canals. the first ever interactive, 3-D animated map of the North American Water and Power Alliance (NAWAPA) system for continental water management, representing a new phase in LaRouche PAC's nationwide mobilization to commence the post-Obama era with a groundbreaking on the project beginning as early as this October. Using the original Parsons Company specifications for NAWAPA as a guide, the team used the Google Earth platform to mark out the sites for dams, reservoirs, power stations, pump lifts, tunnels, and canals throughout the entire system, enabling viewers of the LaRouche PAC website to explore in graphic detail how NAWAPA will completely transform the face of North America. By thoroughly re-sculpting the physical terrain and hydrological cycles of the continent, NAWAPA will signal a profound shift in the popular conception of basic economic infrastructure, to its proper meaning as nothing less than the human species' management of the biosphere. The adoption of NAWAPA also means the salvation of the collapsed U.S. physical economy, through the immediate employment of approximately 3 million people, including a very large portion of engineers, scientists, technicians, and machinists, whose vital skills represent the core capability for securing a recovery for the country. Future additions to the interactive NAWAPA map will include estimates for labor and materials requirements for every element of the project, as well as complementary features of needed infrastructure, such high-speed and magnetically-levitated rail lines, nuclear power plants, and new cities. Input from experts knowledgeable in these and other relevant fields of study will be incorporated into the ongoing refinement of the map. The picture thus assembled, will define the parameters for a functioning physical economy, operating under a credit system reformed by a Glass-Steagall standard for regulated banking. This visual representation of the NAWAPA concept is only a preliminary reference point for grasping the deeper implications of such a science-driver project, which will serve as the keystone for parallel projects in other parts of the world, as well as a revival of large-scale manned space exploration of the Moon and Mars. Combined with Lyndon LaRouche's latest writings on a true science of physical economy, as well as supplementary video material on the LaRouche PAC website, the NAWAPA map is a challenge to the American population to imagine what kind of future is possible, if we can rise above the cultural pessimism of recent decades, in order to make NAWAPA a reality beginning with the removal of President Obama from office.